MONDAY, Oct. 17, 2016 (HealthDay News) — Sleep apnea may boost the odds of developing two serious health complications following surgery. So, finding out if you have the sleep disorder beforehand — and seeking treatment — could boost your odds for good recovery from surgery, researchers say. The two post-op complications are blood clots in the veins and an irregular heartbeat called atrial fibrillation, according to two new studies. These problems occurred more often among surgical patients who had not yet been diagnosed — and therefore weren’t treated — with sleep apnea. Obstructive sleep apnea is characterized by repeated breathing disruptions during sleep. Symptoms include excessive daytime sleepiness, restless sleep and loud snoring — often with periods of silence followed by gasps. More than half of surgery patients who have sleep apnea don’t know it, the authors of one new study said. Identifying these patients ahead of time might spare them serious post-op complications, the findings suggest. The study, published in the American Thoracic Society’s American Journal of Respiratory and Critical Care Medicine, tracked 50 patients with both OSA and uncontrolled Type 2 diabetes. Some were asked to use CPAP masks, while the others were not. After six months, the researchers found CPAP users had lower levels of insulin resistance and hemoglobin (HbA1c) levels — key markers of diabetes — than nonusers. In addition, the CPAP group had fewer inflammatory proteins and other biomarkers associated with Type 2 diabetes blood sugar control. I Sleep with my Face Buried in Pillow. Can I Still Use CPAP? We get that question often. “I sleep on stomach with face buried in a pillow. How can I use CPAP?” I reassure them that we do have quite a few patients, who use CPAP religiously despite their habit of sleeping prone. We also remind them that the CPAP masks and cannula are stiff enough that the weight of your head will not cause collapse and obstruction to airflow. Most patients do however prefer a nasal cannula as opposed to a mask as the later can be difficult to sleep with the face down. Our patients find this Nuance interface easy to sleep face down. You may also find the ResMed interface shown below comfortable. Air Fit P10 can also work even if you sleep face down in the pillow. These interfaces work the best provided you do not have nasal allergies leading to nasal obstruction, in which case allergy skin testing followed by allergen avoidance, allergy medication, and allergy shots can help. What if I breathe through the mouth? Well, we can prescribe a chin strap to keep your mouth closed during sleep. Please do not let your sleep position scare you from getting treated for Obstructive Sleep Apnea. Untreated sleep apnea increases your risk of stroke, heart attack, high blood pressure, drowsy driving, and sudden death. Should I Try a Mask or a Cannula for My CPAP? You are recently diagnosed with Obstructive Sleep Apnea, a serious disease in which a person’s respirations become shallow or stop completely repeatedly during sleep. Your doctor has prescribed a Continuous Positive Airway Pressure (CPAP) to keep your upper airway open and your respirations going. This treatment reduces your fatigue, tiredness, and daytime sleepiness besides reducing your risk of stroke, heart attack, uncontrolled blood pressure, and of drowsy driving death. You are overwhelmed though. 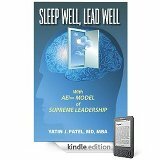 You are anxious if you will be able to sleep soundly with CPAP. You are wondering if you should choose a nasal mask, or a full facemask, or just a tiny tiny nasal cannula to connect to your CPAP machine. The choice depends on several factors. If you are a mouth breather, a full facemask may work better. The Amara full-face mask from Philips Respironics is a popular choice of my patients. It is lighter, smaller, and has significantly fewer parts than leading traditional full-face masks. In fact, it requires just a single click to disassemble and reassemble the cushion and the mask frame for quick cleaning and replacement. If you breath through your nose, a small mask that just covers your nose would work well. The picture below is of an Airfit N10 mask from ResMed. My patients prefer this because of its cushion that fits comfortably on the face and the SoftEdge™ headgear, which minimizes facial marks. If you suffer from are claustrophobia, a nasal cannula may work better. The picture below shows an AirFit P10 from Respironics. If your mouth opens up during sleep, you can always add a chin strap to your nasal mask or cannula. Whether you choose a nasal mask, or a full facemask or a cannula, remember to try several different sizes and shapes of that nasal interface. You may end up changing it over first several months until you find one that feels most comfortable. Good luck and best wishes. Stay persistent. Stay pleasant. Stay asleep. Untreated sleep apnea is associated with depression symptoms. The treatment with CPAP (Continuous Positive Airway Pressure) improves these symptoms in most, but not all patients. In this multicenter prospective cohort study published in January 2014 CHEST journal, researchers evaluated 300 patients with OSAHS and depressive symptoms. After an average of 529 days of CPAP therapy, the mean depression score decreased from 9.2 to 5.4 (p<0.0001), but 125 (41.7%) patients presented persistent depressive symptoms. The persistence of depressive symptoms was independently associated with persistent excessive daytime sleepiness (EDS), comorbid cardiovascular disease, and female gender. Persistent depressive symptoms are strongly associated with Excessive Daytime Sleepiness. Active monitoring of depressive symptoms is needed in CPAP-treated OSAHS patients. This little CPAP nasal interface looks very comfortable and has a set of very nice features. It has become popular amongst my patients quite quickly. Check it out. 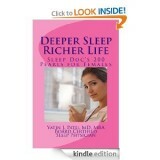 Treating Sleep Apnea May Lower Hard-to-Control Blood Pressure – US News and World Report. “The prevalence of sleep apnea in patients with resistant [high blood pressure] is very high,” said lead researcher Dr. Miguel-Angel Martinez-Garcia, from the Polytechnic University Hospital in Valencia. “This [sleep apnea] treatment increases the probability of recovering the normal nocturnal blood pressure pattern,” he said. The report, published in the Dec. 11 issue of the Journal of the American Medical Association, was partly funded by Philips-Respironics, maker of the CPAP system used in the study. 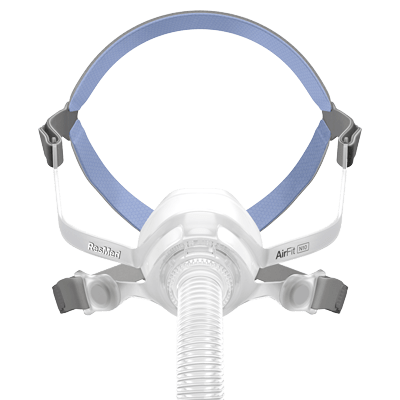 The CPAP system consists of a motor that pushes air through a tube connected to a mask that fits over the patient’s mouth and nose. The device keeps the airway from closing, and thus allows continuous sleep. Sleep apnea is a common disorder. The pauses in breathing that patients experience can last from a few seconds to minutes and they can occur 30 times or more an hour. My patients frequently complaint about the CPAP masks as to how big, bulky, and uncomfortable they are. Well, here is the latest; a small and comfortable mask called Wisp from Respironics.